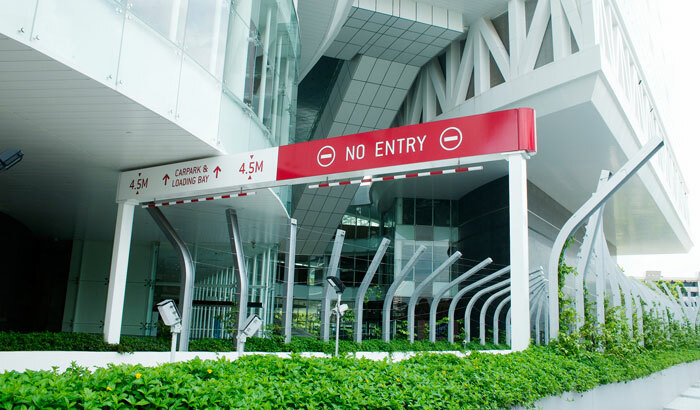 Can we create a signage system that is fluid and wraps over different dimensions? 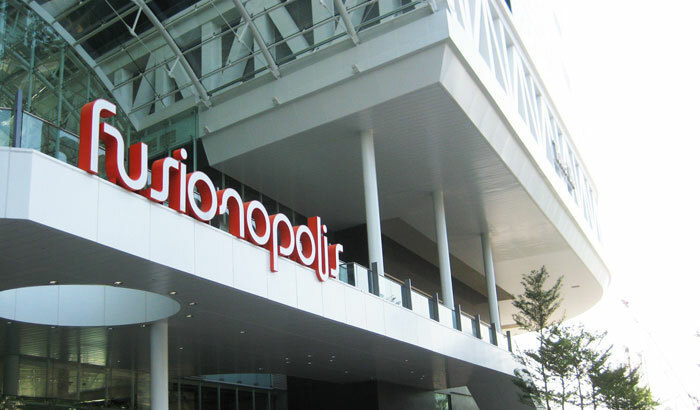 Designed by the late renowned Japanese architect, Dr Kisho Kurokawa, the concept behind the design for Fusionopolis was based on “Vertical Zoning”. 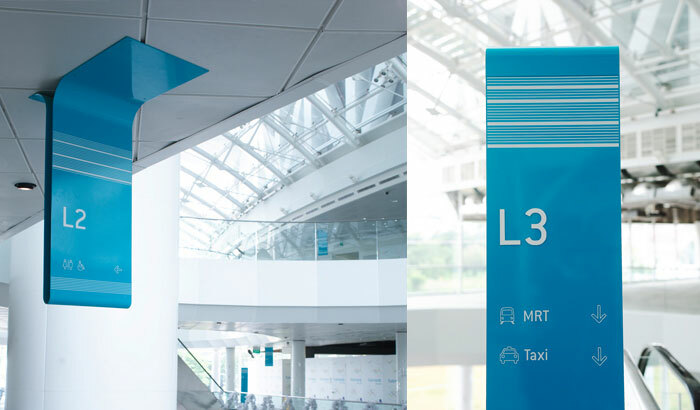 Revolving around the theme “Live, Work, Learn, Play” which depicts the different activities within the 24-storey building, a distilled diagram was created for the physical sign design. 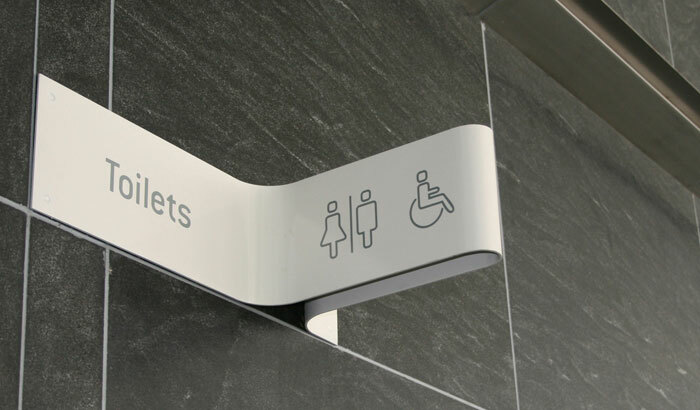 Formed by a single sheet of aluminium, the structure of the sign enables it to be wrapped around different planes disregarding the perception that signs can only be erected from the floor. 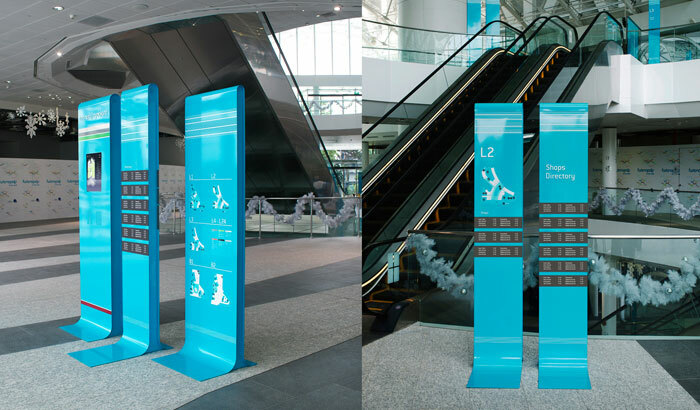 Sophisticated interactive directories were placed at various entrances, in order to facilitate way-finding around the building. 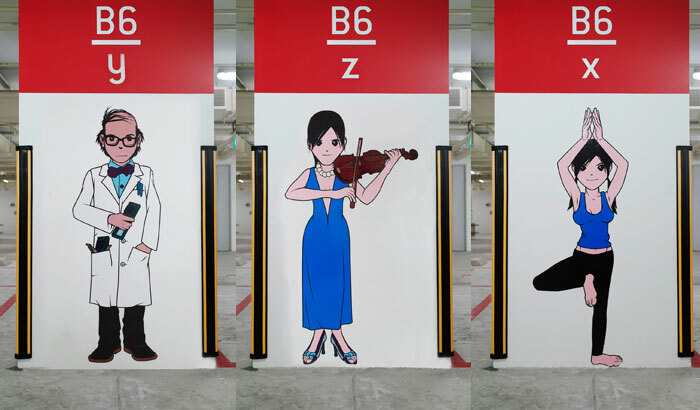 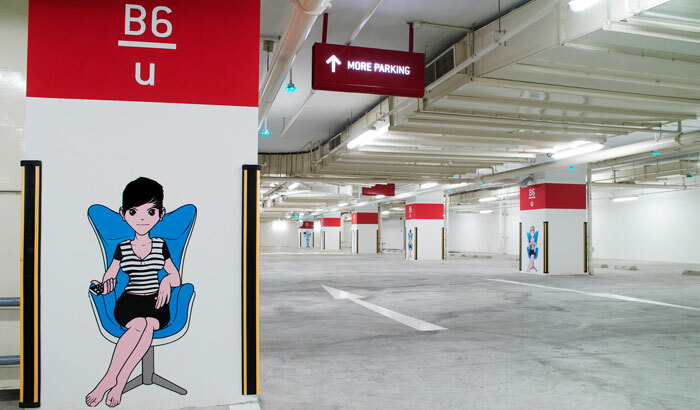 Dull car park columns were also dressed up with illustrations of different characters based on the theme of the building. 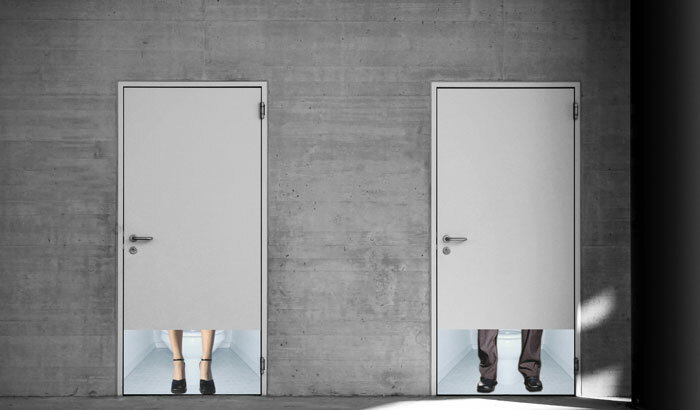 Unexpected elements were injected into the design of the toilet door, giving a quirky take to signage design.